Please join us for an artist reception for Christopher Martin and David Middlebrook, on a reprise of their two-person exhibition at the 2013 Venice Biennale. 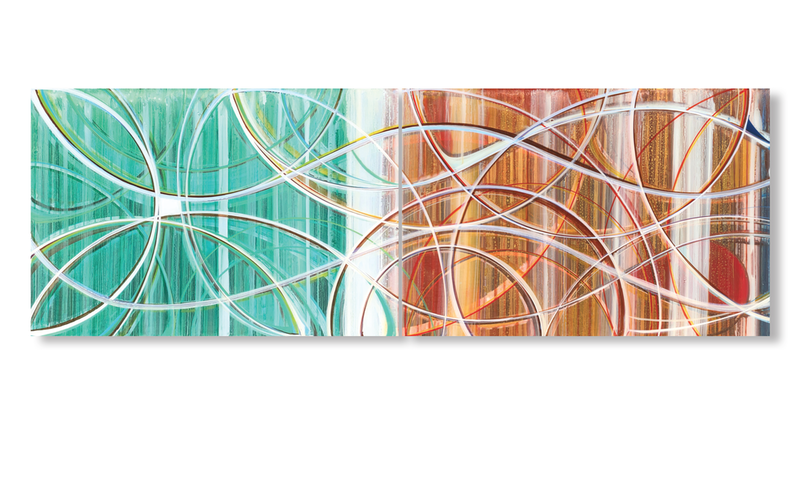 Please join us Thursday, February 21 at Cantoni Trade for a special happy hour featuring their new showroom and Opus, a metallic print on acrylic spanning thirty-two feet — his largest limited edition to date. Cocktails and small bites will be served starting at 5pm as a preview event for Third Thursdays North Dragon Street Gallery Walk until 8pm. 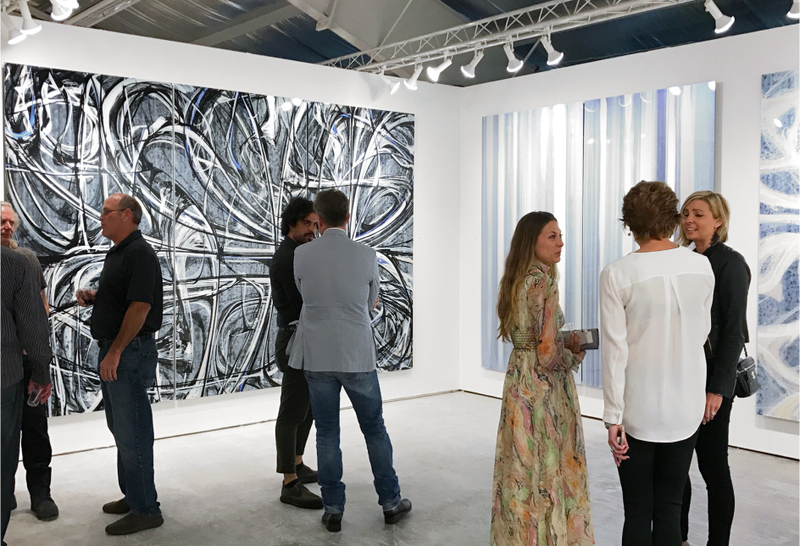 Art Wynwood offers an unprecedented level of convenience in the heart of the cultural epicenter of Miami. Please join us for cocktails at for a night of art openings at our gallery and our neighbors: Ferrari Gallery, Ginger Fox Gallery, Joel Cooner Gallery, Beaudry Gallery and the Lawley Art Group. Grand Opening NYC Gallery | 1015 Madison Ave.
We are proud to announce the Mid-October opening of our new gallery flagship in Manhattan, NY. 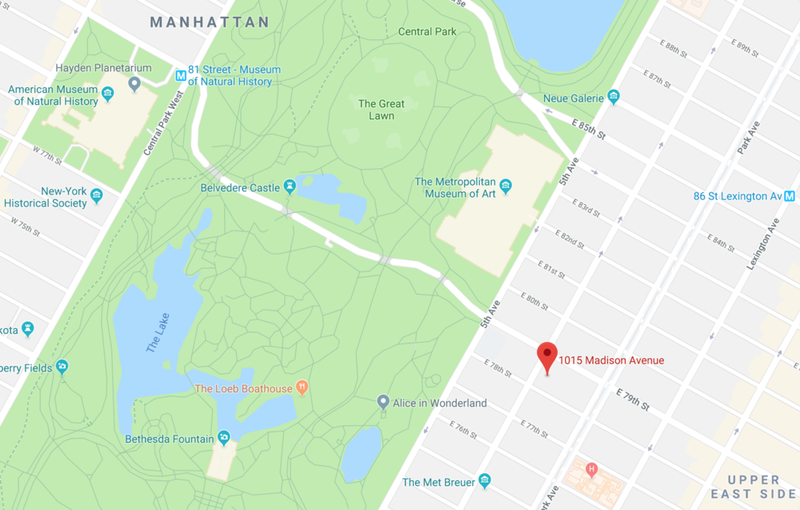 Situated on 1015 Madison Avenue, in between 78th and 79th street, NY Upper East Side, the gallery will be the latest addition to New York’s vibrant Art scene. Please join us, Thursday October 35th, from 6-9 pm, as we celebrate the Grand Opening of the Madison Ave. Gallery with a solo exhibition of new works by Christopher H. Martin. Please join us from 5:00 to 8:00 for cocktails at for a night of art openings at our Dallas gallery and our gallery neighbors: Ferrari Gallery, Ginger Fox Gallery, Joel Cooner Gallery and the Lawley Art Group. Aspen Gallery | 5-7 PM | Trunk show & Tasting Event in collaboration with Meridian Jewelers. Featuring creations by Phillips House and wines by Copper Cane and Belle Gloss. Dallas Gallery | Orko Night | 5-8 pm | New paintings by Chris Martin and sculptures by Jim Keller, Michael Sirvet and Brandon Reese. Earlier this year, Chris was inspired by the experience of a family member who survived heart complications. This led him to create a series of Heart paintings where 50% of the proceeds will be donated to the Association’s incredible mission to better the lives and hearts of so many. Join us this Saturday for the 2018 Spring Gallery Walk organized by Dallas Art Dealers Association. On view is our Spring Show AVANTE featuring new works by Chris Martin, and recent works by sculptors Jim Keller, Brandon Reese, Gregory Price, and Michael Sirvet. 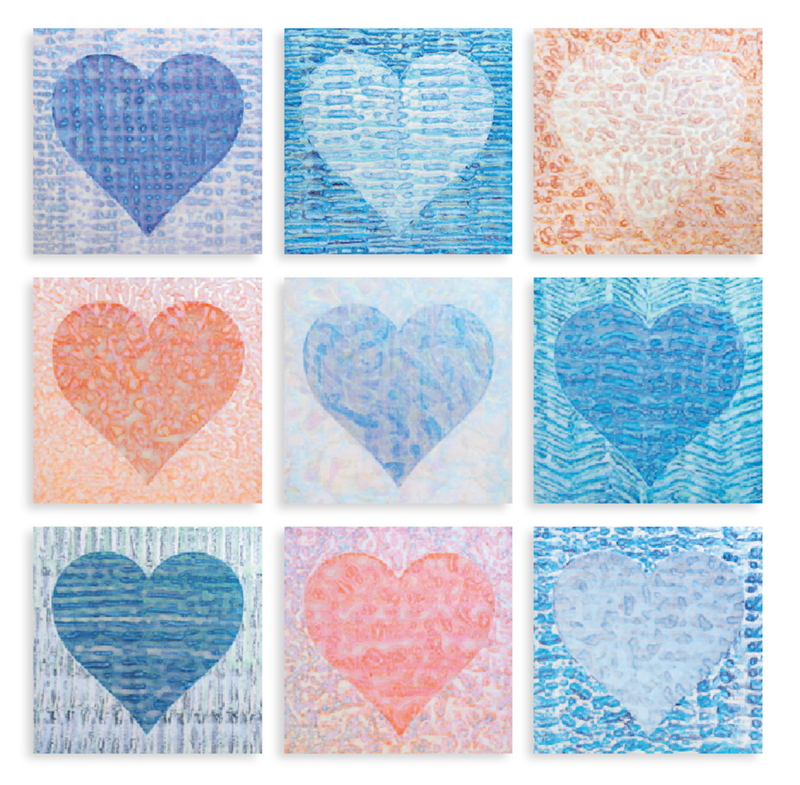 Also featuring an exclusive Heart Series benefiting the American Heart Association. Please join us in Aspen For a fun night of Art, jewelry, clothes and wine. Wednesday, March 21, from 4:30 to 8:00 pm. Clothes by Sara Pilot P18 and jewels by Torino Jewelry. Aspen Gallery | 525 E Copper Ave. Aspen, CO.
Don't miss Chris Martin's Valentine-inspired event Heart For Hounds 2018, now in two cities:Aspen and Dallas. Visit with adorable, adoptable dogs, enjoy cocktails and snacks and view the 2018 original 16x16" Heart paintings. Limited edition 12x12” prints of hearts from previous years will be available online and at the Dallas event. Twenty Percent of the evening’s proceeds will benefit the The Friends of the Aspen Animal Shelter in Aspen, and the SPCA of Texas in Dallas. Choose the perfect Heart for a loved one while contributing to the well-being of deserving dogs and cats. Please save the date for the opening of CONTEXT Art Miami, from Tuesday December 5th to Sunday the 10th. Presenting works by Christopher H. Martin, Brandon Reese and Gregory Price. 20% of proceeds from the sale of this artwork will contribute to the most vulnerable families impacted by the devastation and challenges brought on by Hurricane Harvey. Please join us Friday October 20th from 6-9 pm for our Fall exhibition featuring recent paintings by Christopher Martin, stoneware work from Brandon Reese, and glass sculptures by Gregory Price. Christopher new paintings explore the spatial manifestation of the allegorical number seven. Thanks to the many generous hearts that graciously contributed to our call to help the dire situation of pets affected by Hurricane Harvey. A total of $8,800 was raised for Houston SPCA and a total of $18,500 was raised for the pet rescue mission organized by Friends of the Aspen Animal Shelter. Both donations are actively helping to rescue, care and move adoptable pets in need of new homes. Following Harvey’s landfall, the Houston SPCA has cared for over 2,300 dogs and cats, over 80 displaced horses, farm animals and native wildlife. Their ultimate goal remains the reunification of these lost domestic animals with their original owners and the rehabilitation and release of the wildlife into their native habitats. Please join us, from 4-7 pm, for an opening to celebrate the new work of structuralist sculptor Michael Enn Sirvet.. Please join us this Saturday for the 2017 Dallas Art Dealers Association Gallery Walk where art enthusiasts, private and corporate collectors, artists, designers and visitors can enjoy a full spectrum of gallery openings, special exhibitions and art talks. 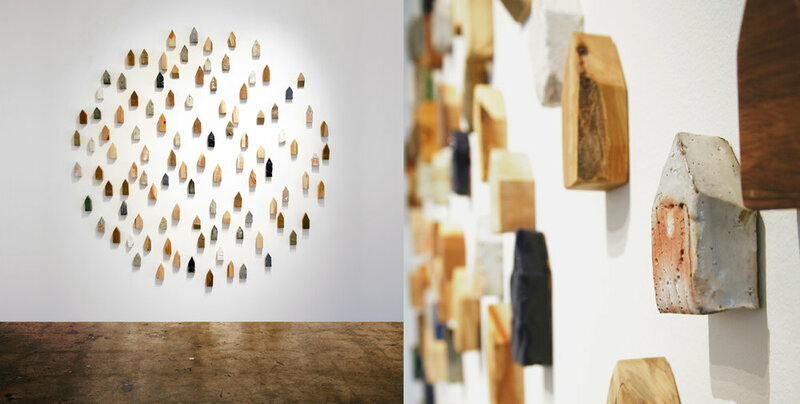 Please join us, from 4-7 pm, for an opening to celebrate the stoneware work of Santa Fe based artist Jarrett West. In West’s outdoor sculptures the fusion of form and finish becomes an abstract minimal sculpture that enhances and incorporates the landscapes and architectures of our lives. Please join us Saturday August 5th for a night of refreshments to celebrate the expansion of our Aspen Gallery and view new and recent works by our roster of artists. 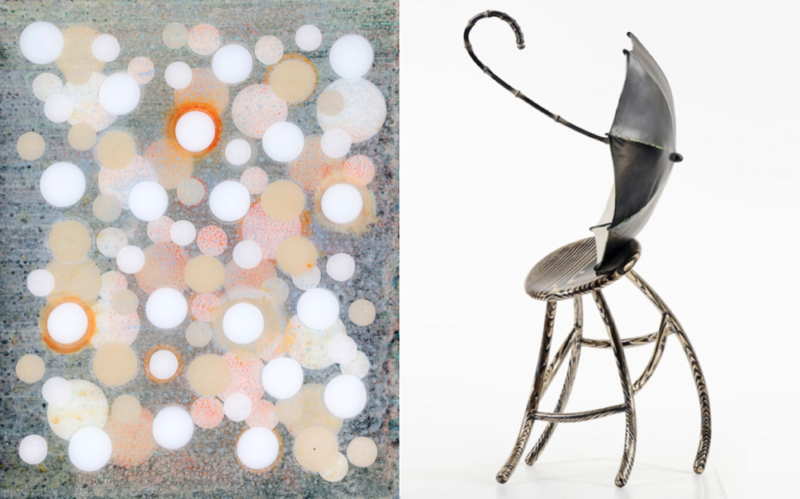 Please save the date for the opening of Art Aspen, Thursday, August 3 from 5-9 pm. Presenting works by Christopher H. Martin, Michael Enn Sirvet, Brandon Reese and Gregory Price. Join us at Booth B3. The 6th Annual Dallas Gallery Day returns Saturday, from 12 to 6pm. We are excited to introduce new works by American glass artist Gregory Price. His works display a constant play between motion and gravity employing cast molding, forming and fusing techniques. Please join us Friday, from 5:30 to 7:30 for cocktails, hors d'ouevres and an exiting talk by renowned art jewelry historian, Timothy Adams, discussing creations by Faberge, Tiffany, Van Cleef & Arpels and current collectibles by Katey Brunini. Mopani Estate is a picturesque haven that overlooks the city of Aspen, Red Mountain, and Mount Sopris. The 44.6-acre property features a contemporary mountain lodge and two-bedroom guest house. The estate was specially designed for equestrians, complete with a large stable and plenty of riding trails. Two sixteen feet artworks by Christopher H. Martin are part of the home's art collection. Please join us Monday July 3rd from 6- 9 pm to celebrate the expansion of the Aspen Gallery and the latest additions to our roster of artists. Featuring Christopher Martin's latest body of works, stoneware sculptures by Brandon Reese and glass sculptures by Gregory Price. Working primarily with stoneware and porcelain, Brandon Reese is known for simple, familiar forms. His sculptures push the traditional boundaries of ceramic art. Reese’s work playfully and beautifully invites the viewer into the space it consumes, creating a powerfully emotional and visual experience. The glass work of Gregory Price investigates abstract concepts of distortion, restriction, pressure, and expulsion creating a subtly leveraged engagement. Please join us for a two-person show highlighting the complimentary dialog between the work of Christopher Martin and Gregory Price.